WASHINGTON, D.C. — Iranian drones have become increasingly active in the Persian Gulf and other critical waterways around the Middle East, regularly conducting surveillance flights close to U.S. warships crossing the Strait of Hormuz and operating around the region, a defense official told USNI News on Friday. 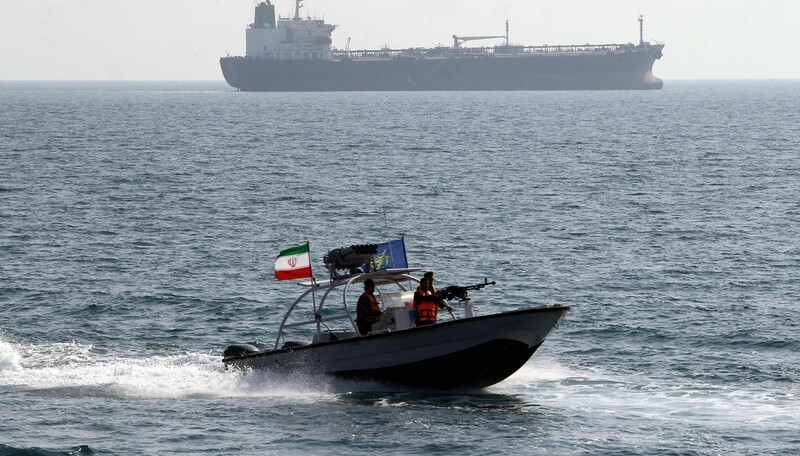 The revelation comes days after the U.S. 5th Fleet said that incidents of small Iranian fast boats harassing American ships in the Gulf have stopped altogether since August, after a 20-month period of increasing tension as they buzzed Navy ships on average of twice a month. 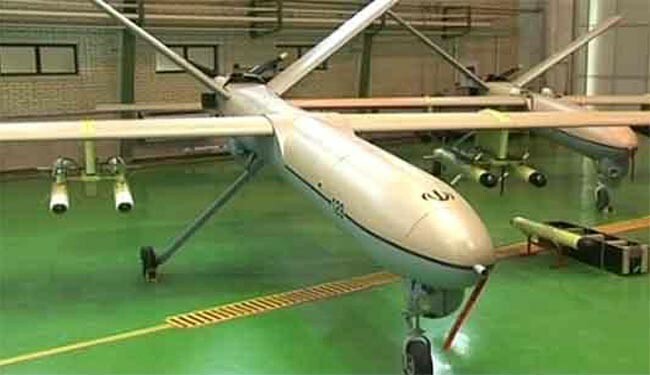 An American defense official confirmed to USNI News that Iranian QOM-1 drones – also known as the Shaheed 129, and capable of carrying weapons – have been conducting “one to two maritime flights per day” over the Strait of Hormuz and the Southern Arabian Gulf in recent months. Those flights “often approach U.S. Navy ships operating in the region,” the official said. There is no indication that those flights have put U.S. Navy vessels or commercial shipping at risk, but crews are on alert for the drones, which are roughly the size of an MQ-1 Predator and often fly without lights or transponders turned on, alarming U.S. Navy pilots operating in the already crowded airspace. “We remain concerned with the increased number of Iranian UAVs operating in international airspace at night without navigation lights or an active transponder, as would be expected according to international norms,” U.S. 5th Fleet spokesman Cmdr. Bill Urban told USNI News on Friday. To one expert, the shift in Iran’s posture from small boat harassment to drone operations makes sense. “They’re likely compensating [for the halting of the fast boat operations] by flying more drones,” Afshon Ostovar, who teaches national security the Naval Postgraduate School and studies the Iranian Revolutionary Guard Corps, told USNI News. Flying a drone is a more sophisticated display of military power than sending a small boat out to charge an aircraft carrier, and can serve as a reminder of Tehran’s increasingly sophisticated ISR capabilities, something the Iranian government and military are likely to enjoy putting on display while not directly antagonizing the United States Navy, he said. The most serious interaction between the U.S. Navy and an Iranian drone came last August, when a Shaheed-129 buzzed an American F/A-18E Super Hornet as it prepared to land on USS Nimitz (CVN-68) during a night operation in the Persian Gulf. U.S. Central Command at the time said that, despite repeated radio calls demanding the drone stay clear of American flight operations, it came within 100 feet of the jet, which had to swerve to avoid a collision. Urban confirmed to USNI that the drone in that incident did not have its navigation lights on. Less than a week later, a second unmanned aircraft came within 1,000 feet of the carrier. American aircraft have had other hair-raising incidents with the Shaheed in the skies over Syria. The regime of Bashar al-Assad operates several of the Iranian-made aircraft, which can be equipped with a combination of eight bombs or Sadid-1 air-to-ground missiles. In June, U.S. Air Force F-15E Strike Eagles shot down two of the unmanned aircraft, after one dropped a munition close to American forces in southeast Syria and another approached an American outpost. The Nimitz incident came less than two months later. The close call with Nimitz put a punctuation mark at the tail end of a dangerous 20 months time in the Persian Gulf, as Iranian fast boats were regularly speeding toward American naval vessels at a rate of 2.5 unsafe or unprofessional interactions per month. In total, there were 14 unsafe and unprofessional interactions in 2017 and 36 in 2016, U.S. officials confirmed to USNI News following a Thursday report in The Wall Street Journal. Earlier this month, 5th Fleet denied Iranian claims that its drones chased away destroyer USS Higgins (DDG-76), assigned to the Theodore Roosevelt Carrier Strike Group operating in the Middle East as part of Operation Inherent Resolve, in the Gulf of Oman. A spokesman for 5th Fleet told USNI News at the time that the ship performed its operations and left the area on a pre-planned schedule.